When you are sick you go to a doctor to get a check up. So when your business is sick why aren't you getting a business checked up? Hello, I am Dr Auggie Diaz, Digital Marketing Doctor. OK maybe not a doctor, but as a internet marketing consultant, I know what a healthy website and business should look like. So just like a doctor would do for your body. I can do for your website and business. Want A Full No Obligation 30 Min Checkup? Understand what's wrong with your website, with your social network and even what's wrong with how the internet views your business online is key to fixing it. You have two choices with your business: 1. You can continue to ignore it and wonder why you are not converting leads, getting traffic to your website or gaining new business. or 2 you can do a few checks below and see where the issues are and than plan on to fix them. Our Aim is simple, to explain the good, bad and the ugly of your businesses presence online so you can rest easy knowing what the issues are. 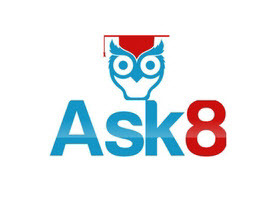 Ask8.com With 30+ years of running businesses, 15+ years of digital marketing experience our team can diagnose your digital marketing problems. Below are some forms that will provide you & us with reports that will explain in pretty good detail why your business is sick. We offer free professional marketing advice, action plans, newest marketing strategies at the fairest prices, performed at the highest standards. All 3 Reports Provide Very Important Information On The Health of Your Business & Website. Local SEO Search Engine Optimization A Critical Health Check That Your Business Needs To Pass! What Is Your SEO Health Score? SEO Means Search Engine Optimization. SEO is a set of rules that once implemented on your website & in your business, should help you rank on your keywords better organically on Google & other search engines. So this report will tell us what your website lacks in SEO so we can come up with a solution to fix it. SEO Is Not The Only Important Health Factor For Your Website or Business. Your Local NAP Citation is Extremely Important! How is your Local NAP Citation? NAP stands for Name, Address & Phone Number, it's a very important factor in local SEO. The accuracy & consistency of your NAP is important to Google & your ranking on major search engines. View The Video Below To Learn a Bit About Local Directory Citations & Use The Simple Form To Run A Directory Report! Click To Go To Our Full Page Directory Report Center & Learn More! Another Key Factor To Your Local SEO is Your Reviews or lack of Reviews Online! View The Videos Below To Learn a Bit About Reputation & Reviews, Also Use The Simple Form To Allow us to Run your Review Report! Click To Schedule A Free 30 Min No Obligation Consultation Using The Reports You Created Today! You have a lot of Information Here To Review. If it's All Good, Then congratulations your business health is excellents. If You Want to Now Know How To Take Your Business To The Next level Click The Big Red Button Above! If it's not looking good, then you are like most local businesses and in need of some medical care. No Worries, all you need to do is click on the big red button above to schedule a no obligation 30 min's review and action plan.